Jawa showcased their motorcycle lineup on 15th of this month at an event in Mumbai. Their lineup currently consists of three new motorcycles which include The Jawa, Forty-two and the Perak. While we all understood that the iconic two-wheeler manufacturer named their first motorcycle ‘the Jawa’ because they wanted to pay homage to some of their vintage iconic motorcycles, while the Perak name was inspired from Jawa’s iconic Bobber styled motorcycle which was manufactured during the World War II era. However, what triggered so many queries on twitter is the number 42 and why Jawa decided to choose this particular name for their entry-level motorcycle. Well, the answer is not exactly as easy as it sounds. Those who are well acquainted with the comedy science fiction series ‘Hitchhiker’s Guide To The Galaxy’ will get the reference easily. The ‘Hitchhiker’s Guide To The Galaxy was a comedy science fiction series created by Douglas Adams (in between 1978-1980) and later it became so popular that it was also adapted to other formats as well including stage shows, novels, comic books. The TV series and novel are quite popular in British culture. There in the first novel of the of the comedy science fiction series a character in the novel wanted to learn the answers to the ultimate question of life, the universe and everything else. A supercomputer was specially designed to find an answer to all the queries. The supercomputer took a total 7.5 million years to come up with the answer which is ’42’. So Jawa also adopted the name 42 and gave their customers an answer if they ever feel like seeking an answer to the question about life, the universe, and everything. We definitely appreciate the thinking of Jawa afterall motorcycles are one medium for motorcycle enthusiasts to get out of your daily life problems and find an answer to those problems after swinging their legs on its back. 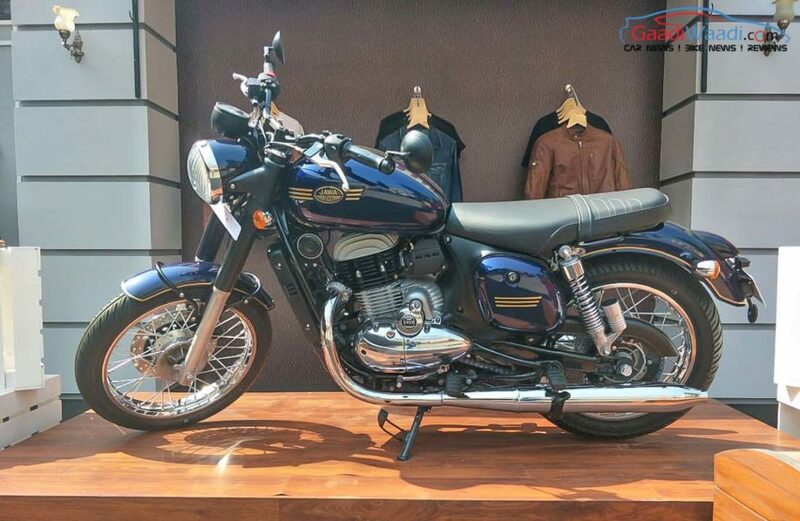 The Jawa Forty-two is the entry-level offering from Jawa and is priced at 1.55 Lakhs (ex-showroom Delhi). 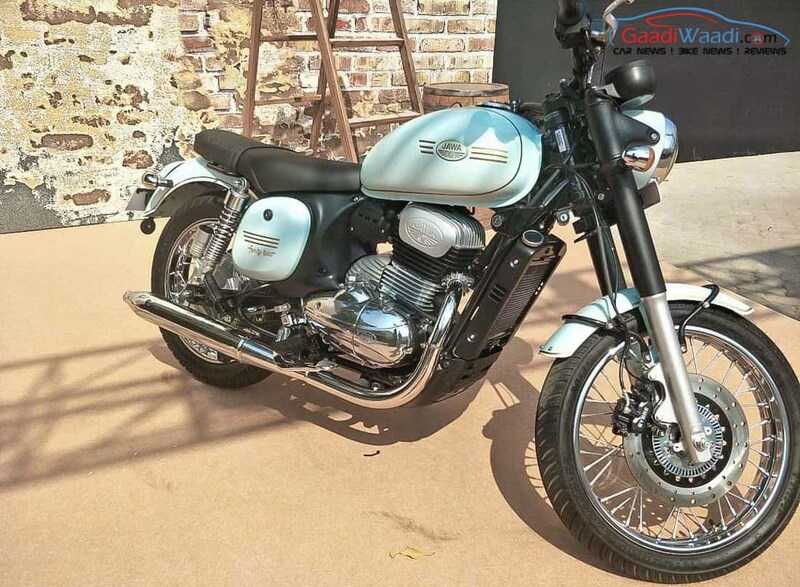 It is powered by the same 293 cc single-cylinder engine which also powers ‘The Jawa’. The engine is based on the Mahindra Mojo and produces around 27 Hp of peak power and 28 Nm of torque and comes paired to a six-speed gearbox. The motorcycle gets a disc brake at its front and drum brakes at its rear. A single channel ABS comes as standard.